Massage therapy in St. Petersburg at The Rubin Health Center will give you relief from back and neck pain and many other body issues. Once considered to be pampering for the rich and famous, massage therapy is now finding enormous popularity among millions of Americans, providing relief for people from all walks of life – the athlete, the home gardener, the over-stressed executive, waitresses, laborers – virtually everyone can benefit. University of Miami School of Medicine’s Touch Research Institute have found massage to be helpful in decreasing blood pressure, alleviating pain in migraine sufferers and improving alertness and performance in office workers. Increases your strength and flexibility after injuries while speeding up the healing process dramatically. Massage has been used by professional athletes for years and has now become a standard treatment for all skeletal, tendon and muscle injuries. Increases your circulation to the injured area while relaxing your muscles, which allows your body to pump more needed oxygen to your injured tissues and vital organs, to increase the healing process. Releases serotonin and dopamine levels in your body, which will relax you and allow your body to heal much faster. You’ll look and feel healthier from the inside out. Stress relief through massage will improve your state of mind, which will show up in all sorts of ways like healthier looking skin, better posture, as well as a better disposition, which has been proven to increase your life span and make you look and feel much better while you’re enjoying the benefits of a stress free life. Relaxes tense muscles; increase your flexibility, allowing you to increase your blood flow to muscles that deliver much needed oxygen to the affected areas; which reduces swelling, soreness and stiffness and increases flexibility in your joints and muscles. Which type of massage do you need? What happens during my first session? You’ll need to fill out some paperwork and then you’ll be left alone to undress to your level of comfort. Then you’ll lie down on a massage table and cover yourself with sheet and or blankets. No-one will enter the room until you tell them you are ready. There is relaxing music playing, unless you prefer silence. Afterwards, you’ll be left to dress in private. How long does a massage take? This will vary with the type of massage and your physical condition. Most people start with an hour. A half hour massage is only enough time for a specific area of your body. Does a one hour massage last for 60 minutes? Yes, you’ll get 60 minutes of time on the table. The only exception would be if you were late for your appointment. Do I need to wear special clothes? No, wear whatever you like. If you want a massage with your clothes on, you should wear loose fitting clothing. Do I need to do anything before my massage? Drink plenty of fluids the day of your massage and woman should remove makeup if we’re going to be working on your head. How often do I need a massage? We recommend getting a massage at least once a month, unless you have some injuries that require more sessions. Many of our clients come in once a week; most come in every other week. After you experience the health benefits of massage you’ll want to come more often. Does a massage make you sore? Oftentimes when working with an injury, it could be uncomfortable. But we will take our time, so you can relax and enjoy your massage. Is talking okay when getting a massage? You will be asked questions about your comfort level and in some cases feedback is required. It’s up to you get to decide if you want to talk, but most of the time people relax during the massage and just rest. How does massage help? By relieving muscle pain and promoting healing and improving flexibility. Massage also increases circulation and provides new oxygen to the bloodstream, which helps rid your body of toxins and waste from muscles. Will my mobility improve? Tense muscles make it hard for your body to move and reduces your flexibility and range of motion. Chronic pain and can keep your joints from moving properly. Tight muscles reduce circulation and allow lactic acid accumulation in the muscles. We always get your medical history during your first appointment, because massage is not recommended for some types of cancer and heart disease. If you’re in doubt ask your doctor about your medical condition and if he thinks therapeutic massage is right for you. 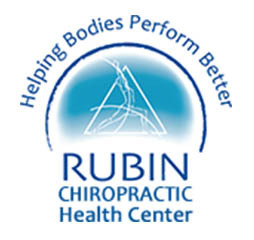 Call us at (727) 822-1555 with any questions about massage therapy in St Petersburg at the Rubin Health Clinic in St Petersburg Fl.